When we first heard about the Qube, we were hoping it would be the Google TV box that finally succeeded in making the serve simple and easy to use. Well, we still haven't seen it in actual action—Asus's demo model isn't functional—but the remote is enough to give us a second of pause. The Qube's "advanced remote" which uses a combination of multitouch, motion control, and a shitload of buttons, is not the simplest experience in the world. Like we've said before about remotes, they shouldn't be as minimalistic as the Apple TV's tiny, five-button remote, but they also shouldn't have dozens and dozens of buttons like the satellite dish remotes from 1985. That can't be the best we can do. But it seems to be how the Qube is operated. Which might be totally fine! This is a totally reactionary take. 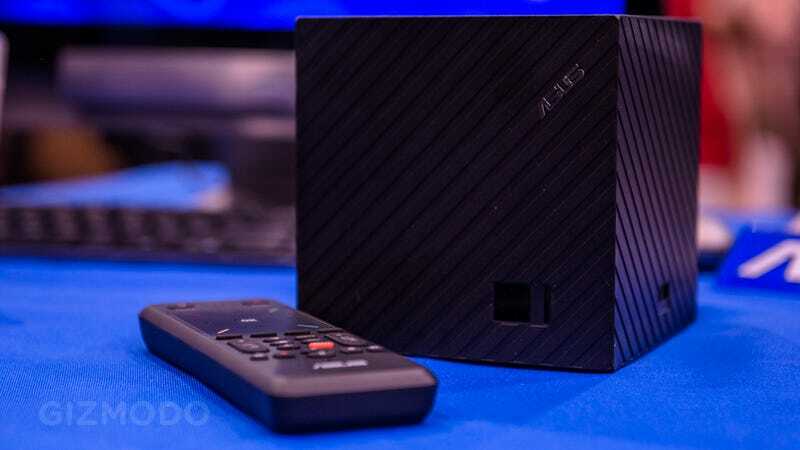 The thing is we just so desperately want one of these Google TV boxes to pull off what none have to this point: Make Google TV relevant and good and eminently usable. Hopefully this, or the still-forthcoming Nexus Q, can make that happen.